HISTORY BEHIND THE SCENE What’s the real story behind that historical scene from your favorite TV show or feature film? A semi-regular feature on the Bowery Boys blog, I’ll be reviving this series as we follow along with TNT’s limited series The Alienist. Look for other articles here about other historically themed television shows (Mad Men, The Knick, The Deuce, Boardwalk Empire and Copper). And follow along with the Bowery Boys on Twitter at @boweryboys for more historical context of your favorite shows. Of all the scenes from Caleb Carr’s novel The Alienist, none are as vivid as those gruesome discoveries found upon the rooftop of old Castle Clinton. These scenes were replicated with gorgeous — and grotesque — accuracy in this week’s episode of TNT’s limited series The Alienist. So many people have come through the entranceway of Castle Clinton, the fortress relic located in Battery Park, that it’s often forgotten that a whole bunch of aquatic life once came through as well. 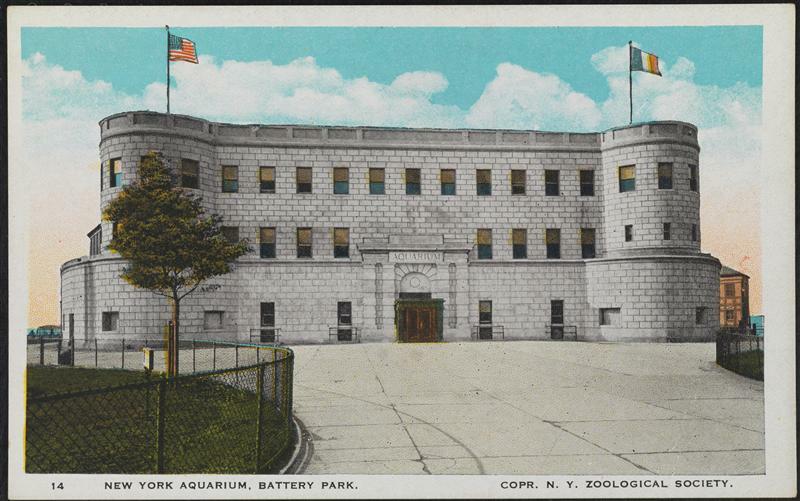 The New York Aquarium, the oldest-operating aquarium facility in the United States, made its first home within the brick walls of the former fort. By the time the fishes moved in in 1896, the fort had seen almost a century of remarkable history. West Battery, completed in 1811 as an island fort, was located 300 feet from shore and connected to the mainland by a long bridge. Its thick stone walls could withstand a vicious attack, and its 28 guns aimed into the harbor would surely beat back any aggressors. It was later renamed Castle Clinton, after New York’s governor (and former mayor) DeWitt Clinton. After serving some minor military purposes, Castle Clinton was eventually sold by the federal government to the city in 1823. And it was then that things got decidedly more festive for the old fort. First it was transformed into an entertainment palace, rechristened Castle Garden, and greatly expanded, with a spacious second floor and an ornate fountain at its center. Still accessed by a narrow bridge, the experience was magical and otherworldly for visitors, its gaslight illuminations dancing above the waves. As Castle Garden, the former fort was now a ballroom, concert venue, lecture space, and even beer hall. For a short time, you could even enjoy luxurious saltwater baths out on the Battery promenade. Just five years later, in 1855, Castle Garden would see thousands more foreign imports, albeit less enthusiastically proclaimed. 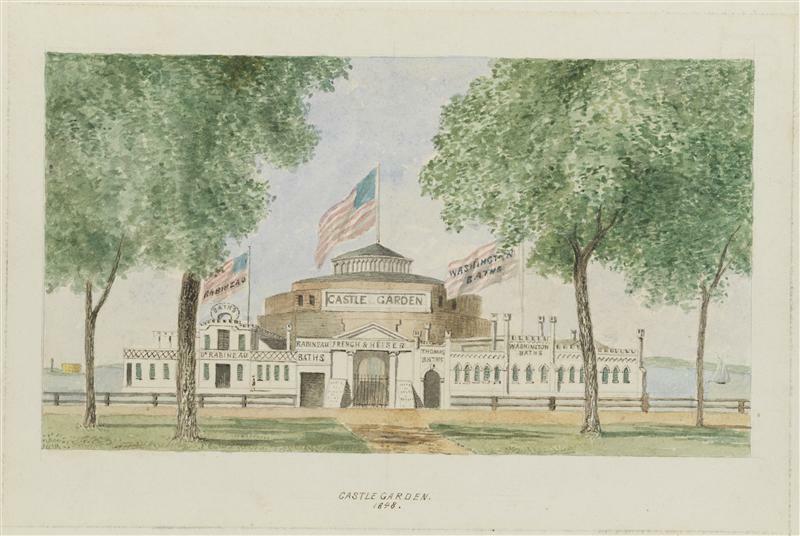 For it was then that the old fort-turned-amusement venue became New York’s first immigration depot, a desperately needed transformation, coming as a tidal wave of European immigrants vexed the ports. 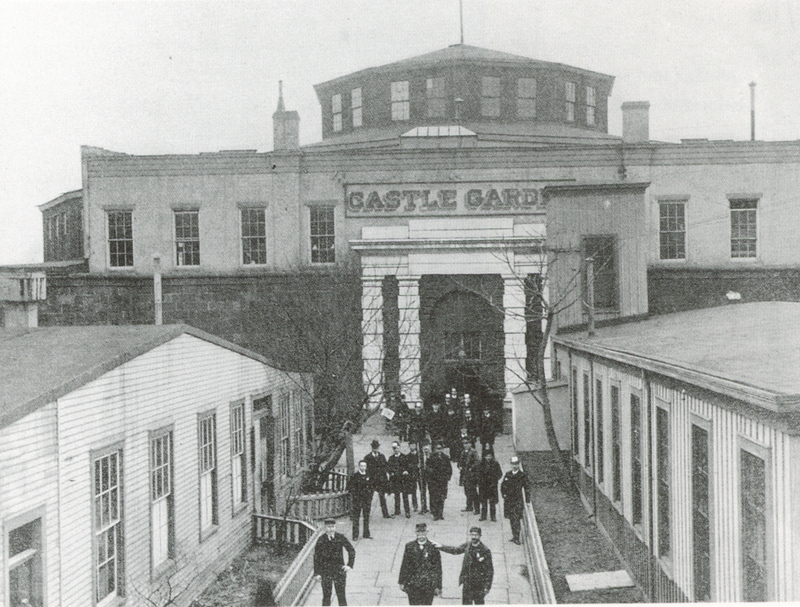 Millions of new arrivals were registered through Castle Garden and provided with vital connections to immigrant aid societies. It would be a proto–Ellis Island, processing more than 8 million people upon their arrival to America. Most likely some of you reading this have ancestors who passed through the halls of Castle Garden. 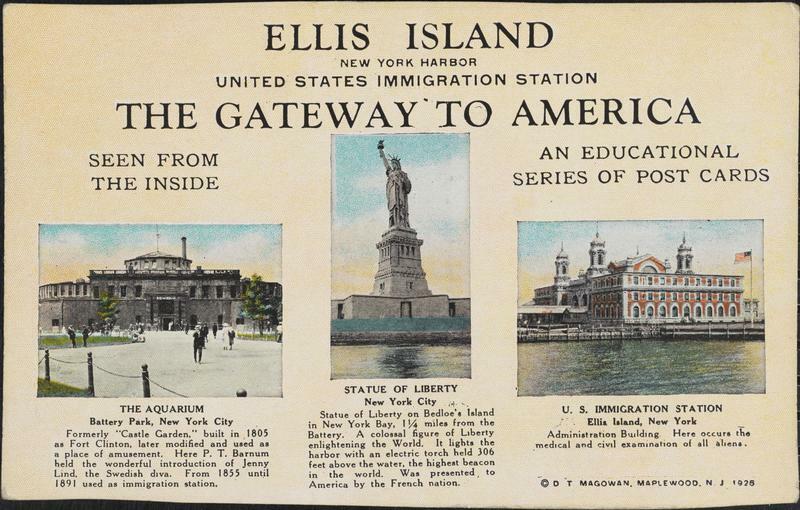 By 1890 the federal government finally got involved with immigration processing and built a new processing center upon a little island in New York Harbor, long ago owned by Samuel Ellis. This switch freed Castle Garden to occupy itself with some other residents—this time of the underwater variety. 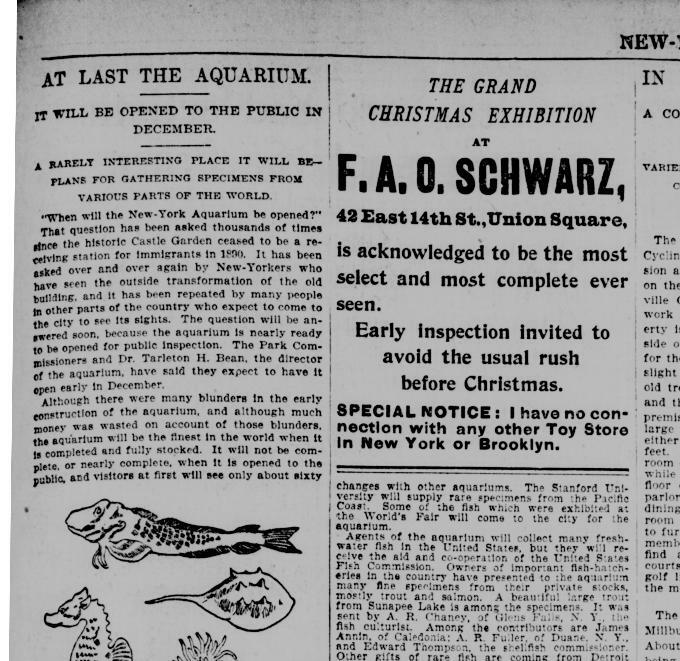 Below: The New York Tribune (Nov 22, 1896) heralds the opening of the aquarium, astride a Christmas ad for FAO Schwarz. But the new aquarium planned for old Castle Garden would be different, more thoughtful to the care of its creatures. 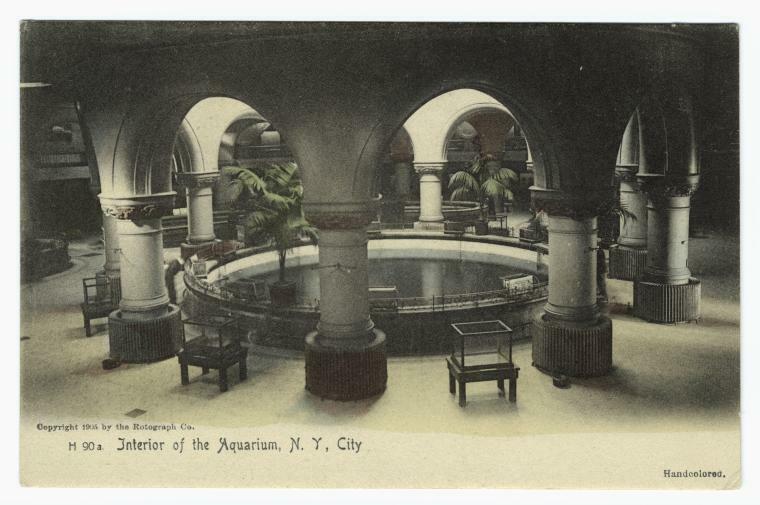 (In 1902 it would even be operated by the New York Zoological Society.) 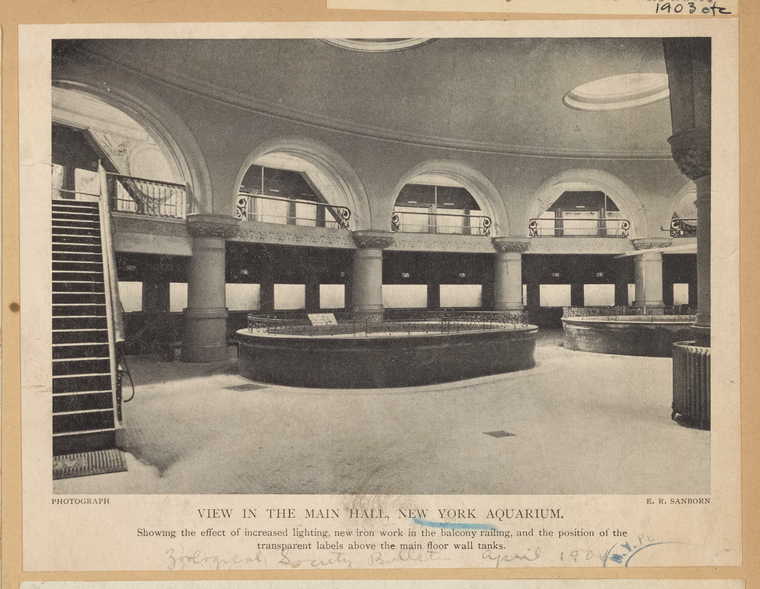 After a redesign of the old immigrant station by the renowned architectural firm of McKim, Mead, and White, the new New York Aquarium would open in 1896, the former concert hall and processing desks replaced with the latest aquatic technology of the day. By this time, of course, landfill had joined the fort structure, at last, to the mainland. 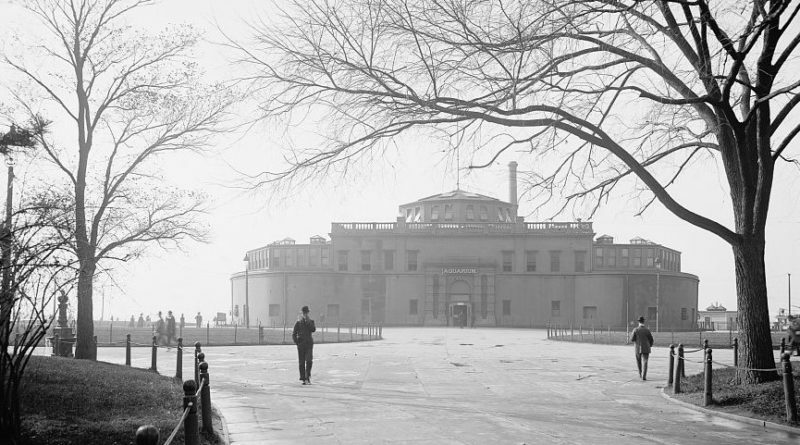 Families could now gallivant through Battery Park and into the front gates to explore a maze of open pools and glass exhibition tanks, filled with a variety of creatures that (more often than not) did not survive the changing of seasons. 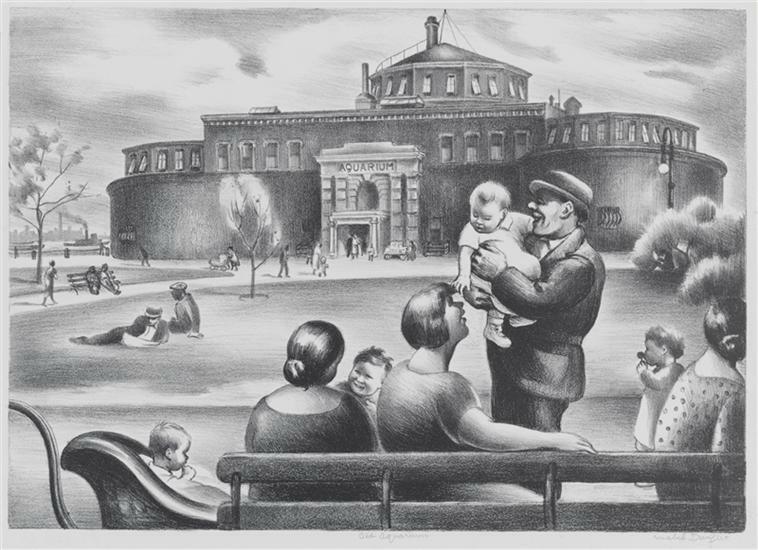 A beautiful day at the New York Aquarium, 1935, as depicted in a print by Mabel Dwight from the Museum of the City of New York collection. They were a surprising yet appropriate pairing, the old fort and a bunch of tropical fish, replete with harbor waves crashing nearby. His destructive urges were only partially rebuffed by the community. Most of the frill and finery—almost everything that had been added since 1823—was removed, leaving only the barren stone form of the original fort intact. And that’s exactly how it has remained ever since. 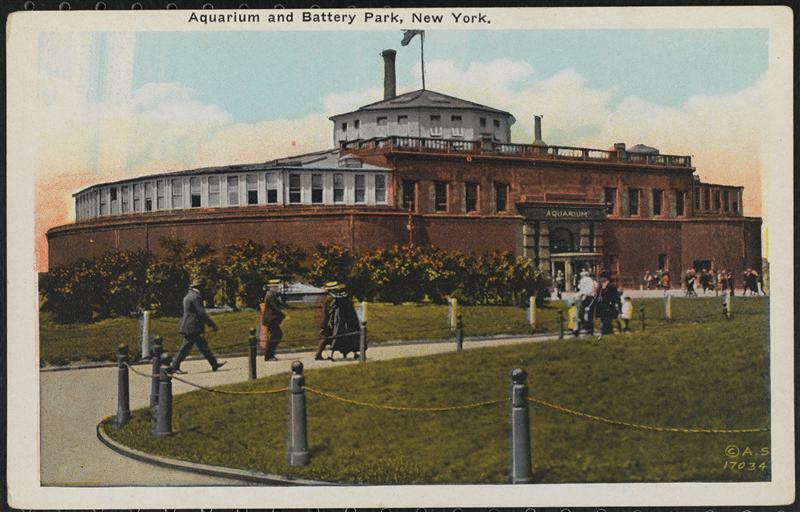 The Aquarium has since moved to the boardwalk of Coney Island — after an awkward period when the collection was moved to the Bronx Zoo Lion House — where it remains an anchor of the Brooklyn amusement district. The current facility opened in 1957. Meanwhile, its old home Castle Clinton received National Monument status in 1975. 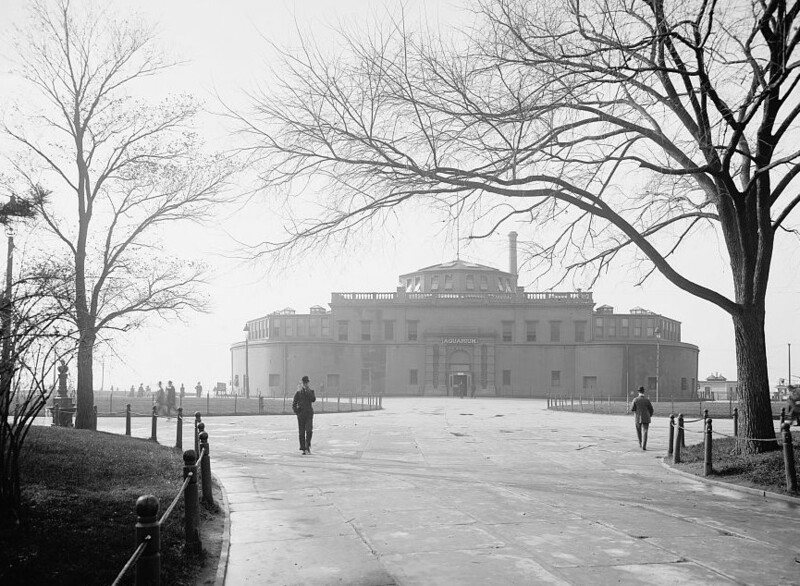 Today the old fort quietly allows New York’s showier landmarks their day in the sun. But we challenge you, Mr. Moses. There may never have been a shot fired from Castle Clinton, but these walls have seen more drama and have been more important to the American experience than almost any other American fort standing today. This is an expanded version of an excerpt from the Bowery Boys Adventures In Old New York, now available in bookstores everywhere.